If you are arrested and charged with DUI in California, a prosecutor will offer you a plea bargain at your arraignment (your first court appearance). 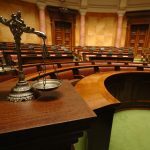 In the usual plea bargain, the prosecutor offers to reduce your criminal DWI charge to a lower charge; in return you must enter a guilty plea to the reduced charge and accept a (reduced) sentence. When you’re charged with DUI in southern California, it’s vital to obtain the legal advice and representation that only an experienced Orange County DWI defense attorney can provide. A “wet reckless” is typically the reduced charge that prosecutors offer in a California DUI case. 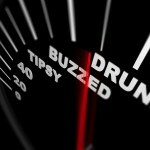 A wet reckless is usually available to defendants when the blood alcohol content (BAC) level at the time of the arrest was right at 0.08 percent. BAC test results aren’t that difficult to discredit, so instead of trying you and losing, prosecutors offer the wet reckless to win the conviction. 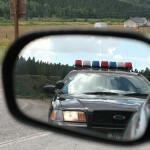 Before accepting any plea bargain, review the offer with a good DWI defense lawyer. You really must understand all the terms, conditions, and consequences of any plea bargain you accept. Why would you consider accepting a plea bargain and a conviction on a wet reckless charge? It’s not a DWI conviction, that’s why. Wet reckless is a charge of reckless driving “involving alcohol.” It’s not a charge anyone faces prior to an arraignment; wet reckless is offered and charged only as part of a plea bargain. However, if you are charged again with DWI in California within ten years, the “wet reckless” will count as prior DUI and you’ll be dealt with as a repeat DUI offender. Whereas a DUI conviction can land you in a California jail for six months, 90 days is the maximum jail time for a wet reckless conviction, and few convicted for the wet reckless charge actually serve any time. If you’re accused of DWI in southern California, now or in the future, you’ll need an experienced Orange County DUI defense attorney at your arraignment, and you’ll want his or her advice before accepting any plea bargain. If you’re charged with DWI, don’t wait to make the call.